You have a very important investment in the contents of your industrial or manufacturing facility. Whether you own that facility, have the responsibility for maintaining it, or both, this facility represents a vital element for your business and profits, as well as representing a liability if neglected. Protecting that investment is your roof, which attracts little attention until it leaks. Working tirelessly and quietly 24 hours a day, 365 days a year for many years, your industrial roof is exposed to the elements such as weather, sun, airborne pollution, rain etc. -- all of which take their toll on its metal surface and normally results in corrosion. 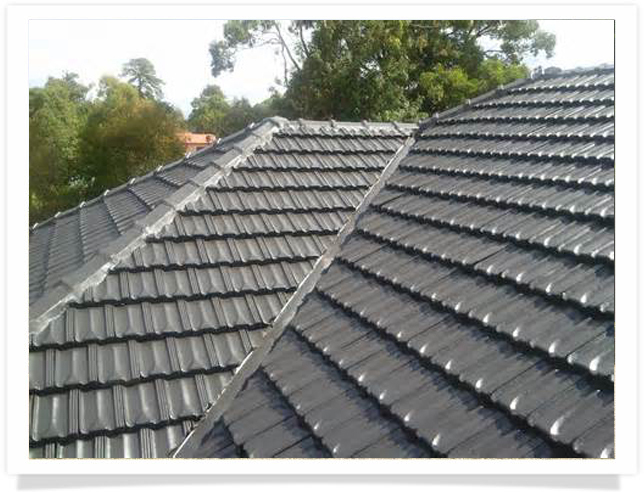 Regardless of whether your roof comes with a factory finish or is bare galvanized steel, the effects of corrosion will cause the roof fasteners to corrode and allow entry for water into your structure if given enough time. corrosion will also wear through the sheet steel, causing it to become very weak, perforated, and eventually need replacement. Offering a no-cost inspection with detailed findings, we recommend the best-value solutions for your needs and budget constraints. You will always be aware of all your alternatives, and thus be empowered to make an educated decision on what system to go with. Our best client is our most knowledgeable client. At a small fraction of the cost of replacement, these types of restoration systems are selected by owners as an effective and cost efficient alternative to complete replacement. 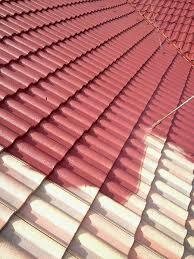 Low pitched roofs tend to get more sun exposure and accumulate more dirt. Do you have questions about your roof's condition or refinishing?